The theme for this year’s annual Multiethnic Symposium is Many Peoples, One Savior, Jesus: Affirming a Multiethnic Church. We are blessed to have this annual symposium for the seminary and the church. It is a place where theology and mission meet learning from world-renowned scholars and missional leaders. It is also a place to develop a network of personal relationships for the mission of God and a place to celebrate, affirm, and validate each other’s ministry as we, the church, together embrace the 21st-century America that is rapidly increasing in cultural and ethnic diversity. Our church body, The Lutheran Church—Missouri Synod (LCMS), is listed by the Pew Research Center among the very top as one of the least racially diverse religious groups in the United States of America. One can easily look at such a listing by a reputable research center and be quite discouraged. The challenge is great, indeed, for the LCMS. It has been declining steadily for decades. To make matters worse, we are listed in a category that does not reflect America’s multiethnic reality today. For sure, this picture of the LCMS can be discouraging and challenging. However, on the positive side of things, we have the opportunity to change this picture. The numbers may not necessarily show it clearly, but the LCMS has embraced ethnic diversity throughout its history. We are a church body with many people groups speaking many different languages and dialects, from around the world beyond Europe such as Africa, Asia, and Latin America. 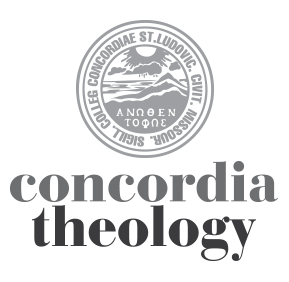 Our pastoral formation and deaconess programs here at Concordia Seminary do show that we are embracing this opportunity by preparing servants for church and world in an ethnically diverse way. For an example, our cross-cultural certificate programs such as the Center for Hispanic Studies (CHS), the Ethnic Immigrant Institute of Theology (EIIT), and the Cross-Cultural Ministry Center (CMC) (with Concordia University, Irvine, CA) have prepared many pastors and deaconesses from more than 40 countries of birth, who are serving LCMS ministries today across the United States. Our Multiethnic Symposium from day one has been all about how we as a church body embrace such an incredible opportunity to proclaim the saving eternal Gospel “to every nation and tribe and language and people” (Revelation 14). The 2018 Multiethnic Symposium affirms and celebrates multiethnic ministries and offers an opportunity to learn from faithful servants who are leading the way. We are blessed to be in a place and time where we can confess the one and only Savior, Jesus Christ, boldly together as brothers and sisters from many nations. The symposium includes stimulating presentations, a Festival of Nations, and a Festival Service with Holy Communion along with some important pre-symposium gatherings in conjunction with the symposium. Please join us for this special event on May 1-2, 2018. For more information and registration, please follow this link: http://www.csl.edu/multiethnic. What’s the distinction the author is making (if any) between peoples, people groups, ethnicity, race, culture, and nation? Each of these terms seem to be used as if they were interchangeable, but that is not my understanding. The article also talks about the Church and America in ways that seem to equate them. It notes that the Church is multi (people groups/ethnic/racial/cultural/national) and that America is increasingly culturally and ethnically diverse. Is American a people group, ethnicity, or nationality? Does America need to become more culturally and ethnically diverse for the Church to be any of these things? The article also seems to imply that racial and ethnic minority focused efforts are tied to a concern of church growth in terms of overall numbers and also not showing up on shame lists that a particular church body is not as diverse as others. Is that why these efforts are underway? Do we care whether any particular congregation or District or Synod has a certain level of this race or that race? If the Church is found all over the world, why are we so concerned about where the LCMS shows up within the US. Does this diminish the work being done in Africa and Asia since those efforts don’t show up in our numbers here in the US? Overall, I feel this multi (people groups/ethnic/racial/cultural/national) has more to do with the current cultural and political identity concerns than the concerns of the Church. I think it could be helpful for the LCMS to rethink the why of these types of articles. I also went to the linked symposium site. I’m curious what “Hispanic/Latino Theology” means? Is there different theology for each ethnicity?